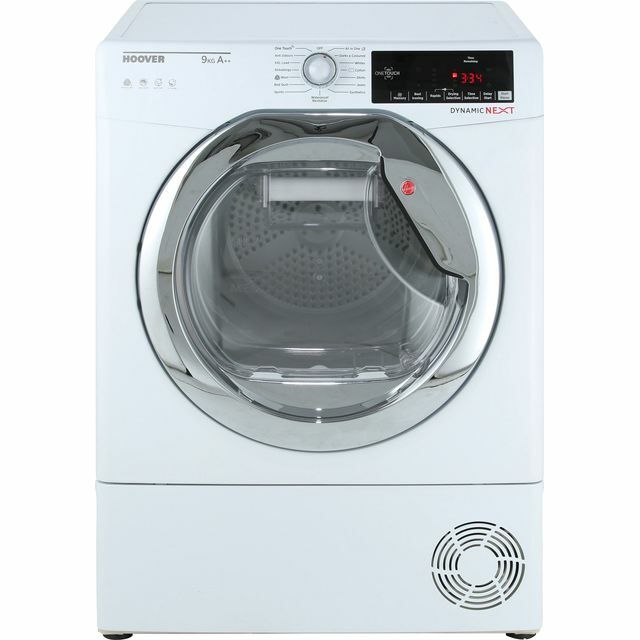 You’ll always enjoy amazing results with this great Hoover condenser tumble dryer. 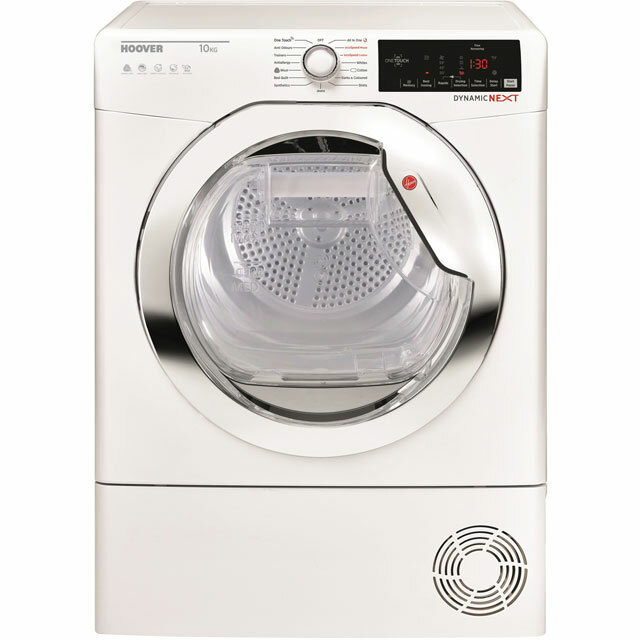 With its generous 10kg capacity, it’s ideal if you live in a large household. It has a really efficient A++ energy rating too, so it’s kinder on your utility bills. Because this is a heat pump model, it’s even more economical, as it recycles hot air generated during your cycle. And, thanks to clever sensor drying technology which works out how much moisture is in your laundry, you won’t waste energy and your clothes will never be over-dried. I've never had a tumble dryer before but hope this will save me on the price of electricity by not having an electric rack dryer running all day every day. 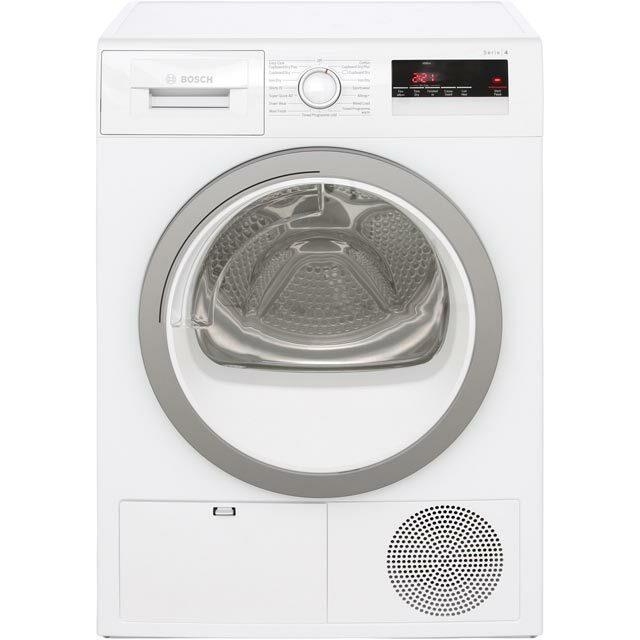 I picked this particular model due to its energy rating, large capacity (10Kg), and convenient access to water and lint traps (both in the door). Drying times are reasonable and the machine seems to detect weight and moisture levels to shorten cycles. And it can dry items completely so that they can just be folded up and put away straight from the machine. Only minor minuses I can report are that there's very little scope for adjusting the feet to level the machine, and tumble dryer fragrance sheets tend to get attracted to the lint trap at the bottom of the door. However, I can shim the feet to get the machine level and I'm going to try pinning the fragrance sheets to a dish cloth or the like to keep it off the lint trap and in amongst the load in the drum. Every problem has a solution. We were looking for the best energy rating at the most reasonable price, to make sure we didn’t spend tons on electricity. So far so good, there are several drying options which I am still trying to get my head round but installation was easy and fast. Great dryer. Works very efficiently. Easy to empty water reservoir. Very pleased. I had huge problems with drying household clothing. I bought this hoover and my life is hassle free now. I do not let even my wife touch it. I can place one huge load of mixed clothing, or whites, or bed lining, or quilts and I can achieve perfect dry garments ready for the closet or drawer. 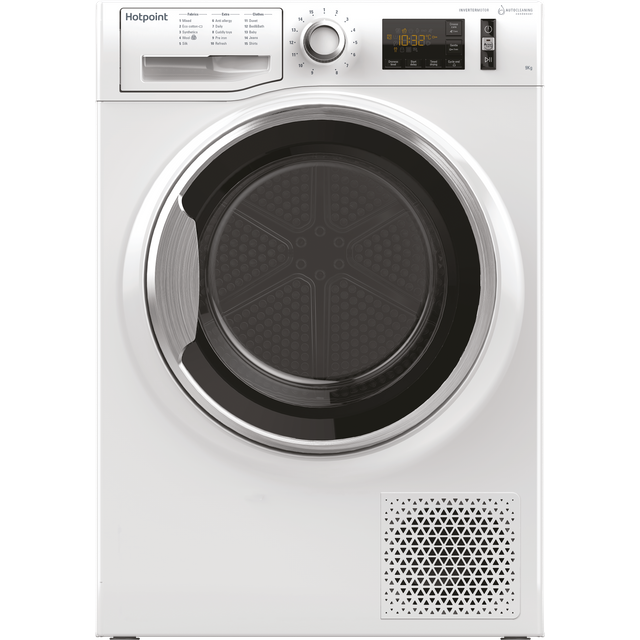 energy efficient and THE BEST FEATURE is that NO MORE CREASES nor clothing shrinkage nor gritty overheated items. Happy husband; Happy life. Easy to use and an absolute life saver. I can wash and dry 3 loads in one day as opposed to over the course of the week. A real blessing when you life in a house of 7 with 3 school age children.